Comment or Question? Drop us a note. 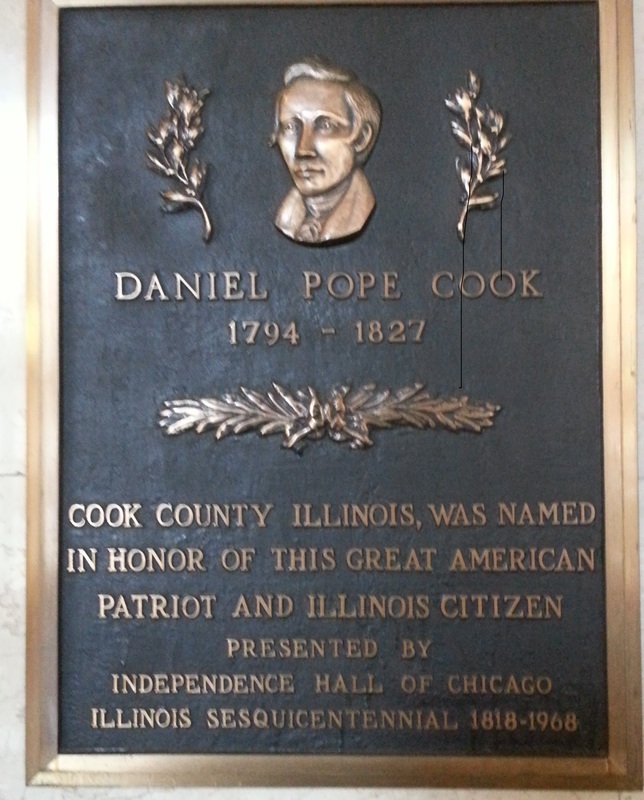 Cook County was named for Daniel Pope Cook. This plaque hangs in the County Building. Click the photo to learn more about Cook on his Wiki page.